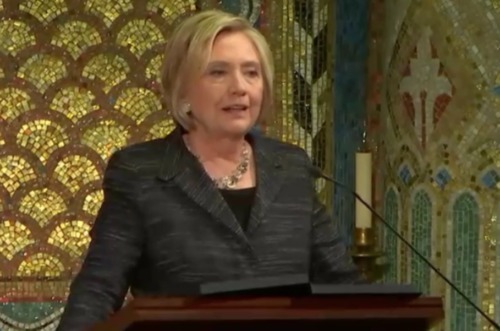 At the Temple Emanu-El in New York yesterday, former Secretary of State Hillary Clinton delivered a eulogy for marriage equality activist Edie Windsor. Windsor, who passed away Tuesday at age 88, is best known for her 2013 Supreme Court victory that overturned the Defense of Marriage Act. Clinton recounted the life of Windsor, including her time working for IBM when very few women worked in technology and her 40 year relationship with Thea Spyer. “Their devotion to each other was its own quiet revolutionary act,” she said. On Wednesday, Barack Obama posted a tribute to Windsor on social media.